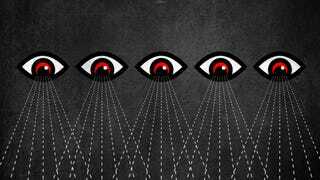 The National Security Agency’s controversial bulk phone data collection program is winding down with a weird whimper following an especially bilious round of legislative squabbling. And one of the people directly responsible for closing down the program is one of its biggest supporters. Members of Congress debated the merits of the USA Freedom Act, which prohibited the NSA’s specific data collection program but renewed the Patriot Act. One of that bill’s biggest opponents was Senate Majority Leader Mitch McConnell (R-Ky) who tried to block the USA Freedom Act because he thought it didn’t go far enough to preserve the Patriot Act. McConnell hoped that Congress would be cornered into creating a temporary authorization of the Patriot Act provisions if the bill didn’t pass, but his big gamble didn’t pay off. Even though he successfully helped kill the USA Freedom Act, all of the temporary Patriot Act authorizations were also blocked by Congress. That means McConnell helped bring about exactly what some of the NSA’s most strident critics had hoped for: Expired, or “sunsetted” Patriot Act provisions. On May 31, Congress will reconvene to try and hammer out a last-ditch save. But the NSA is already starting to shut things down, and by the time Congress returns from its Memorial Day vacation next Sunday, it’ll be too late to ask for the 90-day extension needed to keep collecting phone records in bulk. This isn’t an example of dismantling the surveillance state so much as an example of how Congressional infighting can distract Capitol Hill from getting stuff done. To add an extra layer of chaos to these proceedings, a court recently ruled that the Patriot Act was not a legal justification for the NSA’s surveillance program, which renders this whole battle mostly pointless. It’s absurd that the NSA is finally winding down its much-loathed program based on something else getting shut down that really never gave it any legal standing to begin with, but unless a legislative miracle happens, starting at 5 pm on June 1, the NSA will lose its incredibly flimsy legal justification for the program.